The DOMO nSound K2 is a powerful speaker with eye-catching LED lighting which is customizable to suit your mood or change with music. With its 360-degree surround sound speaker and multicolour LED lighting, you get to experience an inner attachment with your favourite music. Simply tap the grill of the speaker to change the colour of the lantern or change the mode in which it lights up. You can listen to music by connecting the nSound K2 with a Bluetooth enabled device or a non-Bluetooth enabled device using it’s 3.5mm AUX port and AUX cable. It even supports playing MP3 via MicroSD cards and USB PEN drive; it has an inbuilt FM Radio as well. 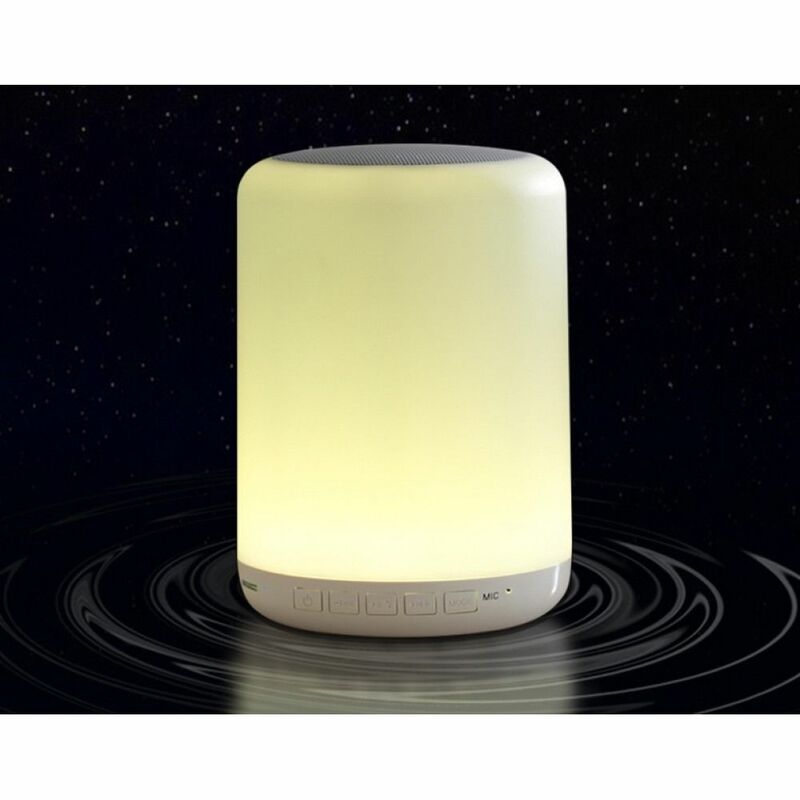 With its Multi Colour LED Lightning, you can spruce up the interiors with a matching LED colour or match it with your mood and music - the nSound K2 offers a mesmerising experience for all music lovers. The beautiful LED lighting unit accentuates your interiors and creates a fantastic mood when camping outdoors. Change LED brightness and colors by simply tapping on the speaker grill. Its foldable hook along with its robust build makes it easy to carry around and with the straight forward controls, it is a breeze to adjust volume, play or pause an audio track, power on/off, answer or reject call, change speaker mode etc.